We believe that people grow best when they move from sitting in rows to sitting in circles. Get around a group of people, young and old, do life together and just watch what God does. We need each other because we’re better together. That’s why we gather on Sundays and why we also come together at other times in what we call Community Groups, or simply Groups. Groups are where we become like Christ together as we encourage and support one another. To get in a Group click on the find a group button below or you can grab a group list off The Wall in the lobby at the Watermark campus or email our groups team here. We will help connect you to a group that works for you. 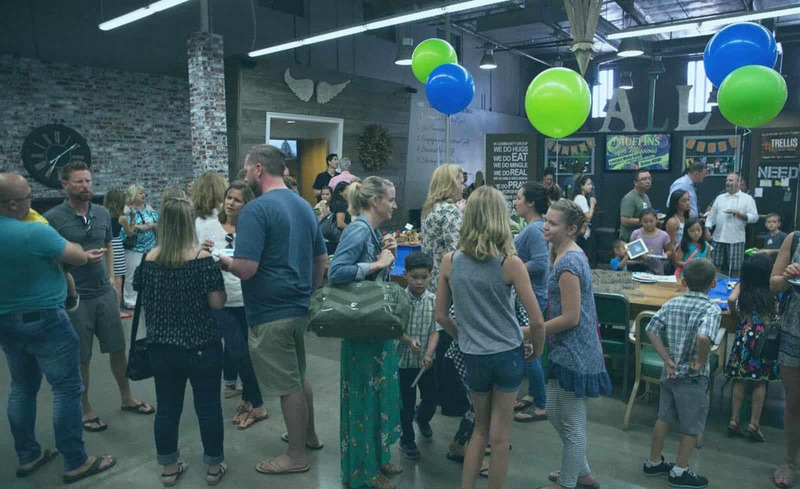 Groups meet in homes, break rooms, and all sorts of places across OC – including Starbucks – to talk about God, pray, eat, laugh, serve others and live out the Gospel. Groups are thought provoking, simple, fun and last about 90 minutes or less. The time flies by too. Groups are always open and are formed based on a quarterly timetable that have start and end dates to allow for breaks and to give people the opportunity to try different groups. One last thing, consider yourself invited to Group. It’s the perfect place to connect and be encouraged as you grow in your relationship with Christ.